Senckenberg scientist Ingmar Werneburg, together with an international team, re-examined the skull structure of Tyrannosaurus rex. Using an "anatomical network analysis," the researchers showed that the carnivorous dinosaur had an extremely flexible skull structure. Different bone modules led to a highly flexible muzzle that aided in tearing apart prey animals. The study was published today in the journal Scientific Reports. Tyrannosaurus rex – the "King of the Tyrant Lizards" – owes its name in part to its impressive teeth and skull. The latter was subject to closer scrutiny by an international team of scientists from Germany, Switzerland, Great Britain, Spain, and the USA. 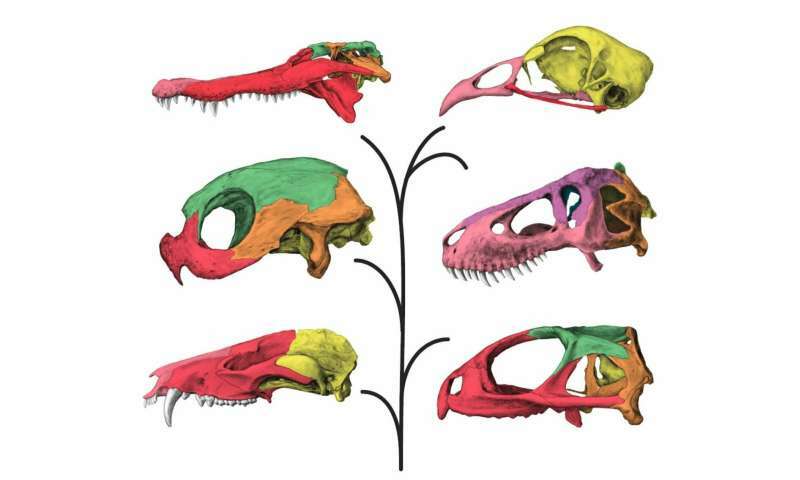 "We compared the skull of T. rex with the skull construction of modern terrestrial vertebrates and used an anatomical network analysis to examine which skull bones are connected to each other," explains the study's lead author, PD Dr. Ingmar Werneburg of the Senckenberg Centre for Human Evolution and Palaeoenvironment at the University of Tübingen. The analysis revealed that, among all groups of animals analyzed in the study, the large carnivore possessed the highest number of "skull modules" – skull bones that form units with adjacent bones. This resulted in a particularly high mobility of the skull. "We were most surprised to discover the presence of separate upper and lower muzzle modules, which probably could move independent of each other," adds the scientist from Tübingen. 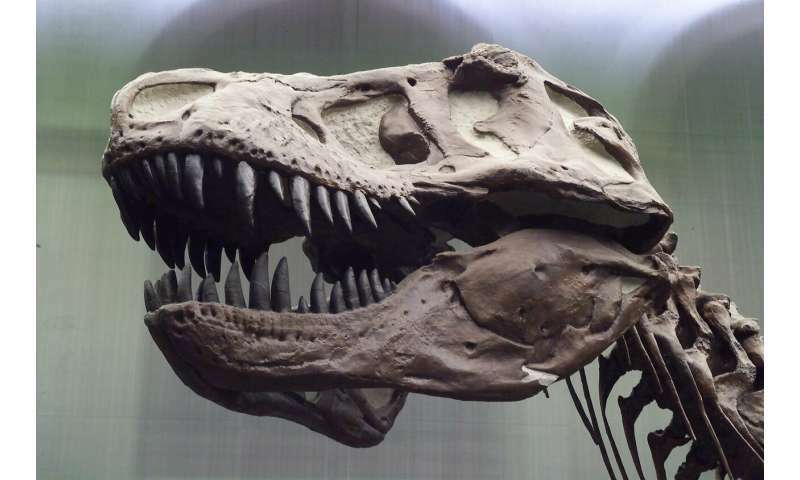 The researchers hypothesize that the feeding habits of Tyrannosaurus rex may have led to the complexity of its skull. The division into a lower and an upper muzzle module may have provided a certain amount of flexibility to the tooth-bearing part of the muzzle that aided in the forceful tearing of prey animals. "This trait, combined with teeth anchored within tooth pockets and two large temporal fenestrae (openings) as attachment points for the strong jaw muscles, made T. rex the 'ideal carnivore,' adds Werneburg in summary.